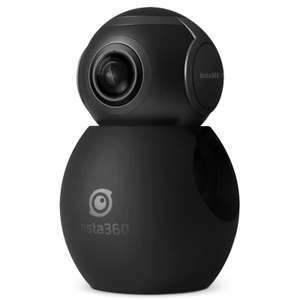 Looks like a nice little 360 camera. It only works with android phone (microUSB). It takes 360 photos and videos, and you can live stream on facebook/yotube or videocall. Quality is OK, but obviously can be better if you pay more. Price is $79 with code JSEES12 which is around £56.37 when I used my mastercard. It will be little bit more when using gearbest/paypal conversion rate. I also got free UK priority line shipping for free, which should only take a few days to arrive.